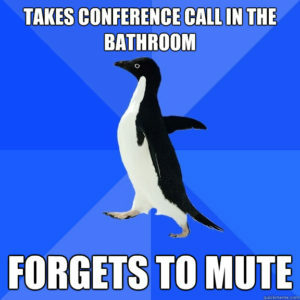 Ah, the art of the conference call. Seems simple, right? Dial in, listen up, and let the productivity flow. It’s a true story. Not mine. My personal conference call hell comes in the form of sounds. Chewing, for example. No one, and I truly mean no one, wants to listen to the mastication of your lunchtime salad while the rest of us are learning about next month’s product launch. Mute, mute, mute. See also: typing. If you’re the designated note-taker during the call, please be so kind as to nudge the microphone away from the heavy-handed clickety-clack of your keyboard. We can all hear your typing, and it’s all we can hear. So, let’s take a moment to reflect upon all the ways conference call behavior can drive us bonkers, shall we? You wouldn’t just casually stroll into a meeting ten minutes late, right? It’s no different when casually dialing in to a conference call ten minutes after it began. If for no reason other than it means a productive call being interrupted by “hi, who joined?” from the moderator every three minutes. “I’ve called a conference number that was being used by a different team. That was a tad awkward to realize you’re, basically, in the wrong meeting,” she remembered. Oops! When I asked colleagues to tell me their own conference call pet peeves, many of them could have been solved by the mute button. If you’re dialing into a call solely to listen, mute your line. You’d be surprised what the rest of the callers can hear from your end of the call. Like a flushing toilet. Or, “I once heard someone snoring on a call,” said DeAnne Boegli, TDS manager of Public Relations (side tip: also stay awake!). 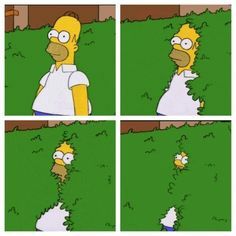 Another colleague mentioned heavy breathing. “It makes for an awkward moment of having to tell someone not to breathe so hard,” she said. We’ve already discussed eating on a call. But also, if you must call in from a noisy location (say, the airport or a busy coffee shop), mute your line. If you have to participate in the call, then don’t call from a noisy location. Related: shouting children and barking dogs. While surely they’re wonderful coworkers at home, they don’t make for great conference call participants. 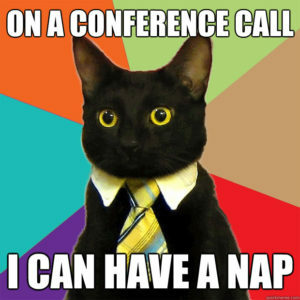 Truthfully, this could be said about any meeting. But on a conference call, many times a group is gathered in a meeting room while other participants have called in to join. How often have you called in to a meeting only to wait for 10 minutes while those in the conference room chat about the weather or have side conversations or finish whatever meeting snacks happen to be in the room? To be honest, I’m mostly jealous I can’t get in on the snack action, but also, time is ticking. We’ve all got work to do. Related: with sometimes 20 (or more) people on the line, don’t be the person who goes off on a tangent with one other participant. The rest of us are here and we’re listening. What gets to you on a conference call? Share your story in the comments!